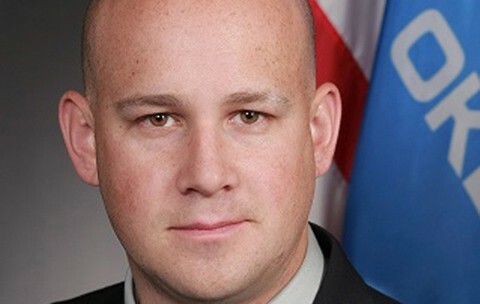 Oklahoma state Sen. Joseph Silk doesn't believe LGBT people "have a right to be served in every single store." However, Silk now says he'll always protect their right to be homosexual, even though he still believes the LGBT movement is "a threat to our freedoms and liberties in the United States and Oklahoma." After Silk's comments went viral, he responded with a post on his website, in which he says the bill actually "has nothing to do with" LGBT people, even though they are making themselves out to be "the only target." "People have a right to be homosexual and I will always protect that," Silk writes. "However that right does not give them an excuse to trample another person's right to live out thier (sic) religious beliefs in their place of business." Silk goes on to say that the LGBT movement has "zero tolerance" for other people's rights and is "a threat to our freedoms and liberties in the United States and Oklahoma." "I am not questioning the rights of the LGBT movement, I believe they have the right to live how they want to live," Silk writes. "They on the other hand, are launching a massive campaign that is attempting to strip other peoples (sic) individual liberties away if they hold different beliefs…this is complete intolerance. "Yes I did say that homosexuals do not have the right to be served in every store, just as I do not believe that I nor my family have the right to be served in every private business," he writes. "The right to provide services should be the decision of the business owners. We need to keep our country free and stop this radical, intolerant, movement." Based on his statements, it's safe to assume Silk doesn't want any LGBT customers (or even their allies) at the business he manages, which is called Beavers Bend Getaways and consists of luxury vacation properties in the Broken Bow Lake area of Oklahoma. The Facebook page for Beavers Bend Getaways, owned by Silk's father, is here.